Cosmos 'Purity' is easy to grow from seed. 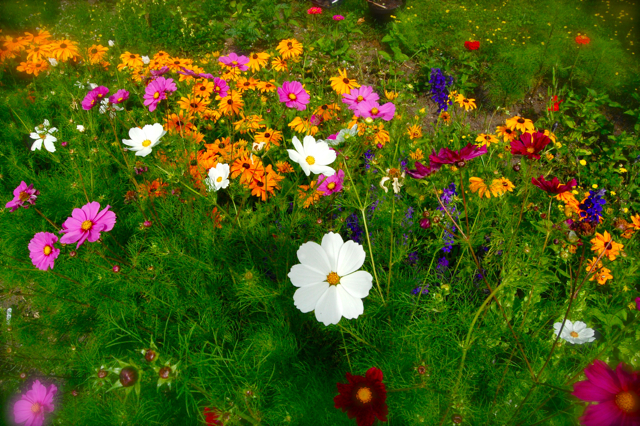 Cosmos ‘Purity’ seeds are amongst the most popular with Higgledy garden customers and it’s not surprising. 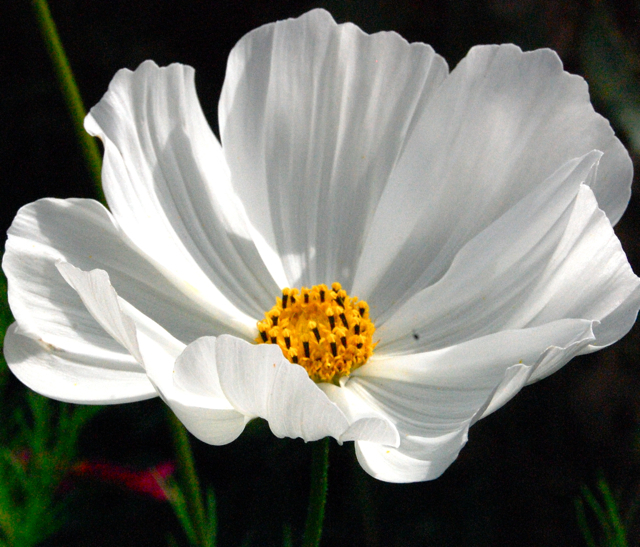 Cosmos ‘Purity’ is a rather special plant…very elegant…very chic…and no bother…a very low maintenance annual. I start some seeds off in pots from the beginning of April…and pop them out into the real world six weeks later after the frosts have stopped trying to annoy me…then also sow some directly into the soil in the middle of May. This gives a huge flowering period. Plants need very little looking after…though water them if it’s been dry for ages. I don’t even stake mine and thus far they have stayed upright all summer…which is more than can be said for myself on occasion. Cosmos ‘Purity’ also can be found in the famous ‘Higgledy Garden Complete Cut Flower Patch‘…20 packets of seeds for £19.50 inc p&p…not to be sniffed out…oh no indeed. Have fun mon petite Munchkins. I do my best! ;) It’s VERY photogenic to be fair. That is a beautiful flower that could grace any garden! It’s probably too late for me to start growing them now but this will definitely feature in my garden next summer!